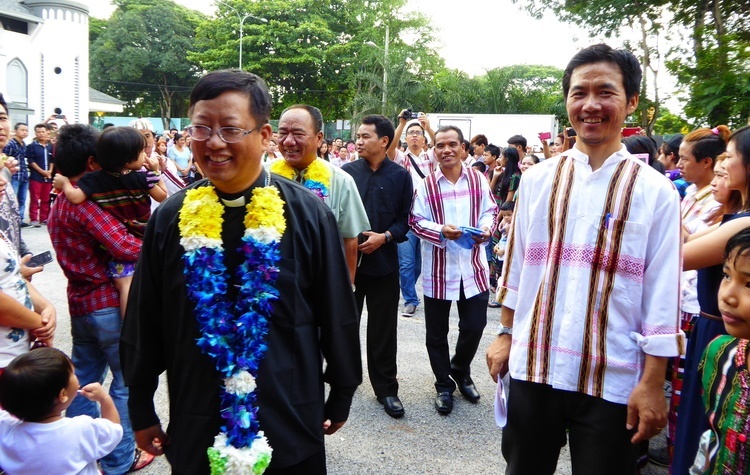 Bishop Felix Lian Khen Thang (Bishop of Kalay Diocese, Myanmar), together with two other Myanmar priests, Frs Robert Kam Khua Hau and Martin Dal Do, came to Church of St. Joseph, Sentul, KL today (19/5) at 11.00 am visiting the Myanmar Zomi Catholic Community. 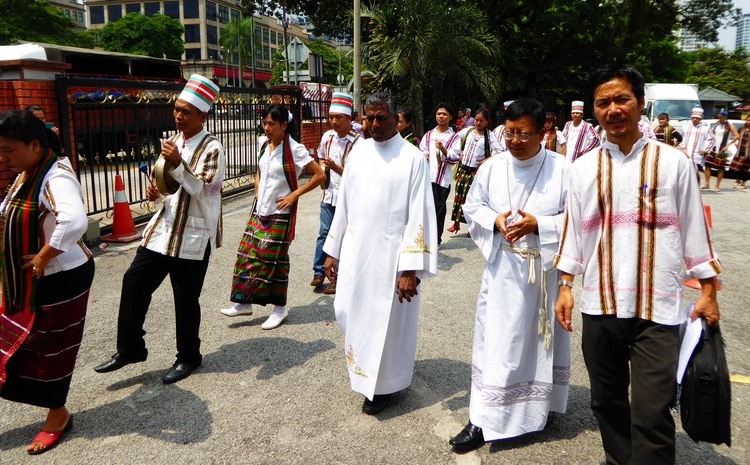 There were more than 700 of them mainly from Klang Valley, gathered at the Church compound to welcome their Bishop with their traditional costumes. Despite being a working day, they were excited of their bishop’s arrival and they took leave from their works and other commitments. We, (the president and pastoral workers of Myanmar) had an hour conversation privately with the Bishop at my parish house. After the conversation we were led to the entrance of the Church with their traditional dance and music. Bishop celebrated the Eucharistic celebration and followed by lunch and entertainment at the Church hall. 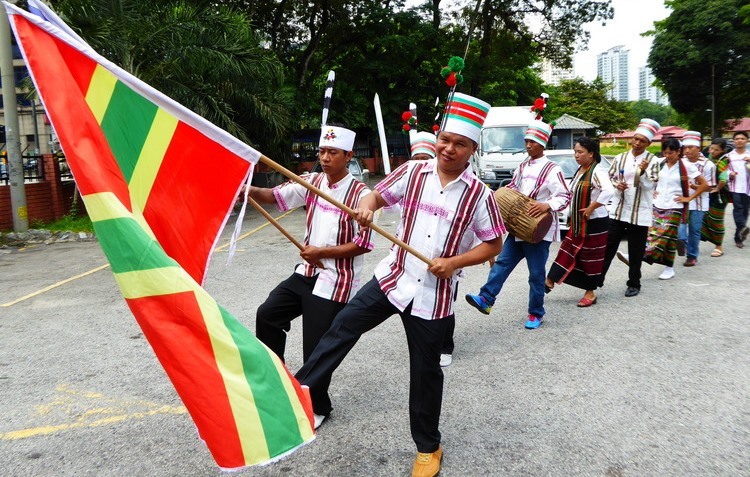 The objective of this group is to promote unity among the Myanmar members particularly Zomi Clan of the parishes around Klang Valley by sharing faith, talents, treasure and cultural values. 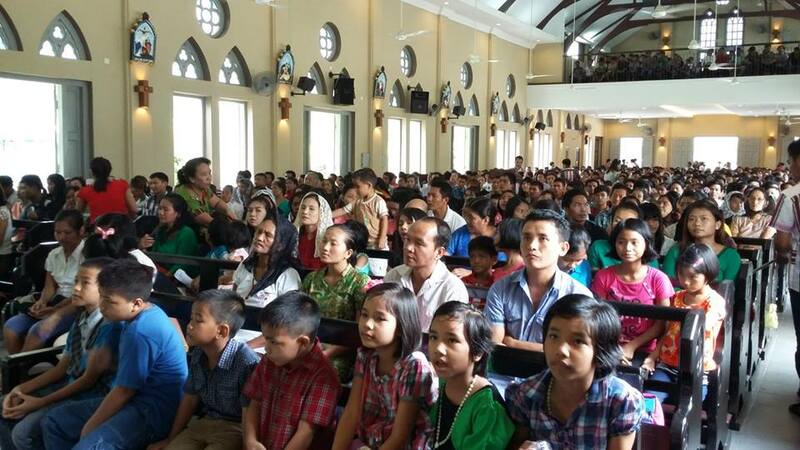 The group enhances the commitment of its members to their pastoral ministry and encourages the involvement of the Myanmar people in the Church. 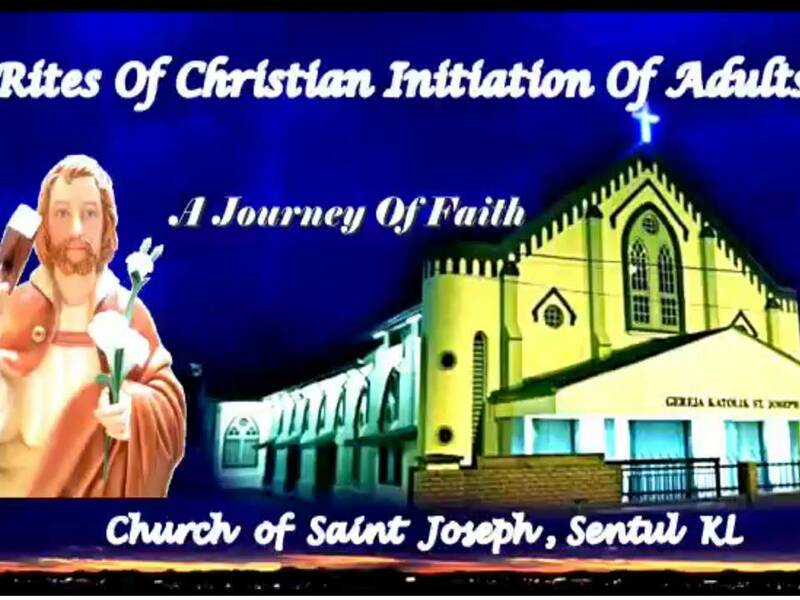 The group meets at Church of St Joseph, Sentul on the second and fourth Sunday of each month for the Eucharistic Celebrations (11.30 am), other Sacraments and fellowship.